Zdenek Stybar took to Instagram ahead of Wednesday’s Scheldeprijs one-day race to show off his brand new set of false gnashers, after his previous bridge became dislodged on the cobbled climbs of the Tour of Flanders. The Czech national champion was in the lead group on the second ascent of the Oude Kwaremont with 70km on Sunday, when he was forced to remove his teeth, describing it as “not nice” to have to ride that way. 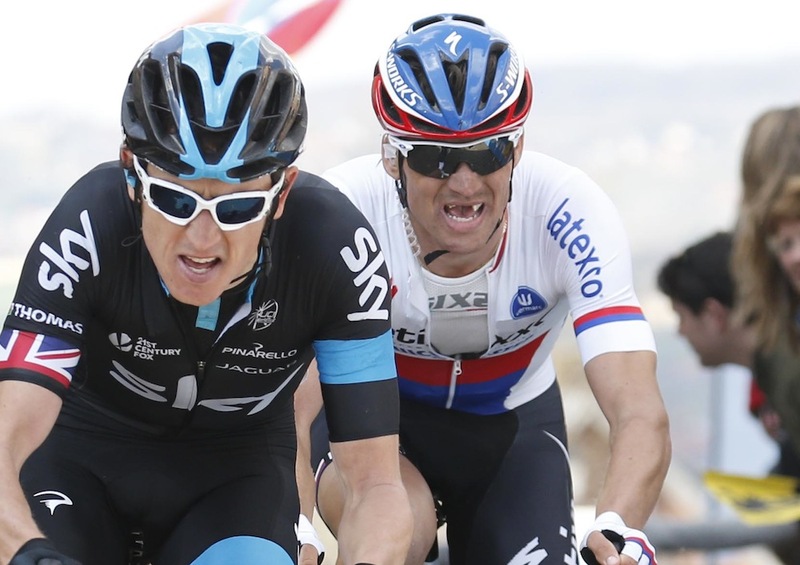 He eventually finished ninth with his teammate, Niki Terpstra taking second behind Alexander Kristoff (Katusha). Stybar later posted a picture on Instagram of him looking like an old man, before posting another picture on Wednesday morning looking back to normal after he managed to get overnight surgery on Monday from his dentist. The 29-year-old suffered the intial damage to his teeth after a nasty crash at the 2014 Eneco Tour, which ruled him out of competing in the 2014/15 cyclo-cross season, but recovered to take an impressive win at Strade Bianche back in March. Stybar will now be looking to success in Paris-Roubaix on Sunday, after putting in some impressive displays in the Classics so far. “It’s difficult to say how the loss of my teeth affected my performance, but it’s really not nice to deal with it in such a big race,” Stybar said after Flanders. “I was distracted by it and didn’t know what to do. It happened before the second trip up the Kwaremont. Because it’s a bridge, it was moving, so I took it out. It’s not the best feeling to ride without teeth. “I think my shape was good. But it was an odd race. With my teeth, and all the bizarre crashes happening, it was truly strange.